This article will be updated whenever I find new proved ways and tips that work well for dealing with anxiety and managing stress. There’s almost a 100% possibility I get anxious if I don’t have a plan for the day! When I know I have so many things to do but once I have a free minute (or hour) I don’t understand what to start with. That’s why having no plan sometimes ends in procrastination because I can be paralyzed by stress coming from unclear mind and multiple tasks flashing in my head. What I found useful is to sit down every evening and plan what I am going to do next day. I am not trying to be a supermom and do it all in one day. That just adds more stress and anxiety. I usually plan one big thing and several small tasks for a day. Sometimes even that is hard to achieve, so I managed to forgive myself for not finishing a task and praise for those I’ve done successfully. Anyway, when you’re a mom, you’re the boss. Nobody is breathing down your neck and waiting for you to do the work perfectly. There’s no deadline. So you just have to be easier on yourself. Disclosure: This is for information purposes only. If you want to take any of these supplements, consult your health care provider first. You might need to run some blood test before taking these. B-complex contains all the essential B vitamins your body needs. Many of these vitamins are vital to overall health of our nervous system. They may also help improve symptoms of anxiety and depression. Vitamin C is a powerful antioxidants with anti-inflammatory properties. What is does, it prevents oxidative damage in our nervous system. The oxidative damage can increase and worsen symptoms of anxiety. Vitamin D is an important nutrient that helps the body absorb other vitamins. When we don’t get enough vitamin D, it can lead to other vitamin deficiencies in our body, which, in its turn, may compound anxiety and make it worse. GABA or gamma-aminobutyric acid (GAMMA) is a neurotransmitter in the brain. GABA is referred to as the “brain’s natural calming agent”. By inhibiting over-stimulation of the brain, GABA may help promote relaxation and ease nervous tension. When there’s not enough GABA, symptoms of anxiety can worsen. According to a recent study, supplements with GABA may help replace lost GABA, although more research needs to be done. Magnesium is an essential mineral for human health that is so good for managing stress and anxiety as well. This is a well-known fact, yet 75% of people still don’t get enough of magnesium. The research made in October, 2015 showed that magnesium deficiency may lead to anxiety symptoms. Recognize the factors that trigger your stress. Write them down. Embrace the fact that these factors make you feel nervous, uncomfortable, and anxious. Sometimes it’s scary to acknowledge that certain things cause adverse reactions in your mind and body. But it’s better to do so, because as soon as you recognize them, you’re half way through to the full recovery. Sharing your thought, fears and emotions with the person you trust is so very helpful! My husband always guides me through difficult emotions and helps to handle stress. When I talk to him I feel protected and understood. I feel the firm shoulder that is always there for me. My husband is always trying to find a trigger for my mental discomforts and I can’t even count how many times he succeeded in it. He’s my sheet anchor. I have to admit, the pace of life affects my emotions tremendously. I’ve noticed many-many times that when my life is spinning on fast speed, I tend to be more irritable, less stress-resistant, and more emotionally unstable. My memory fails me (I forget many things). I have a quick temper and, generally, I’m no fun to be around. Make a schedule of your day. Kids thrive on schedules and routines. You will do, too. I promise. Schedule some extra time. Put in 15-30 minutes in reserve for every activity that includes your children. Sometimes kids tend to play, eat or get dressed a little longer than you’ve expected, so having these extra minutes will be put to good use and save your sanity in the meantime. Breathe. Actually, you can even try some breathing techniques from yoga. Doing breathing exercises will not only help to slow down your life, they will also aid in dealing with anxiety. Less is more! Simplify. Declutter. Organize. Avoid multi-tasking. Okay, let’s be realistic. Living free from multi-tasking with kids is impossible. So I’d say doing two things simultaneously is just fine. More is too much. Stick to that. Be present. Feel the moment. Don’t be far away in your mind from where you are right now. It makes you feel like your life is passing by and you go behind it. Eliminate distractions. And by distractions I mean internet and social networks. I will talk more about this in a minute. Practice mindfulness. Be aware of where you are and what you’re doing, without getting overwhelmed by what’s going on around you. Having both feet on the ground, I can say that sleep is what really makes a difference in terms of dealing with anxiety. Poor sleep makes you moody, stressed and anxious. In order to reduce anxiety, you should get an adequate amount of sleep that will promote a healthy functioning of nervous system during the day. Make getting a good night’s sleep your priority. Try to go to bed and wake up at the same time every day, including weekends. Aim to have seven-eight hours of uninterrupted night sleep. Try falling asleep before 11 p.m. The best time to go to bed is around 9-9:30 p.m. because it gives your nervous system time to restore its resources. 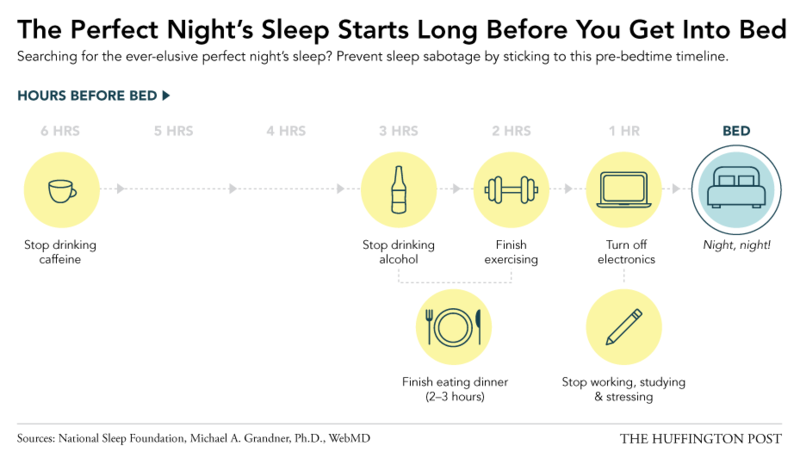 (Our nervous system recovers when sleeping is provided in the early hours, specifically from 9 to 12 p.m.) But let’s be realistic, going to bed at 10 p.m. and falling asleep at 10:30 is already a huge success. Establish a bedtime routine. Don’t use your computer or other devices for an hour before sleep. Avoid stimulants like coffee, chocolate or alcohol. Leave all your problems and unsolved tasks for the next day. Evening is not the best time to resolve issues. Try reading and meditating instead. This is what really helps to drift off and have a sound sleep during the night. If you have any troubles falling asleep, try drinking herbal tea that promote good night sleep or taking melatonin. Make your bedroom sleep-friendly. Get rid of devices, don’t watch TV at least an hour before going to bed (especially, if you have a TV in your bedroom), install black-out curtains to block the day (and night!) light. Make your room cool. The best temperature for sleeping is 64,4 F. Make sure your bed is comfortable, too. Check if the mattress and pillows are comfy for you. This is one of the most amazing practices I’ve ever done. I’ve just recently started it and can already see great improvement not only in my stress and anxiety levels, but also in my daily life experience and my attitude towards things that happens to me every day. 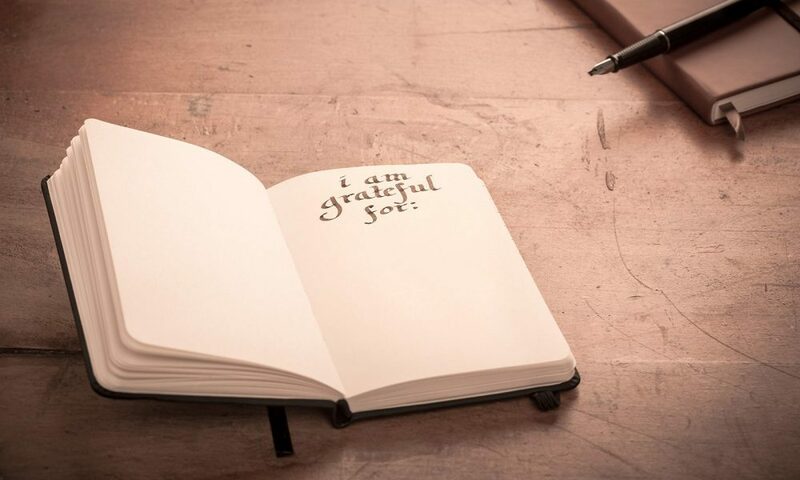 You take a notebook and by the end of each day you write down everything you are grateful for. This could include anybody starting from your husband, relatives, friends, your boss or even a neighbor on down to yourself. First of all, it changes your way of thinking to a more positive verge. It also makes you cherish your life and what you HAVE in life more. What is great about this method is that eventually you may find yourself writing down things that bother you and searching the way for handling the discomfort. I am a strong believer in the healing power of gratitude. More to the point, when you start writing down your thoughts, it’s much easier to get bad things seen. It’s also easier to acknowledge them. While acknowledging the problem is a half way through to the complete healing. Just mind that you could try this method for anxiety and see if it makes any changes. Sometimes it’s really hard to slow down and enjoy the moment, especially if you are trying to include a way-to-big-to-do-list in your day. Have you ever caught yourself distracted from the moment by thinking about things you still can manage to do by the end of the day or what kind of dinner you will make tonight? I’ve had, too. Multiple times a day. And, let’s be honest, is there a person who has never done this? I’m sure there isn’t. But the point is, the more we’re distracted, the more we’re stressed. Actually, the trigger for me wishing to cherish the moment was my son. I caught myself thinking or solving tasks in my mind while I spent time with my baby. Then I just realized, these moments are so unique, I will never be able to live through them again. And kids grow really fast. So spending time with my baby has become something like a meditation, when I try to turn off my mind and just enjoy life. Speaking of meditation, here’s another thing that helped me tremendously. I will talk about it in a minute. I started the gratitude journal that literally transformed my way of thinking. I trust the universe. Now, that might sound cheesy, but this thing really works! You have to believe everything is going to be okay no matter what. You don’t have to worry, just relax and enjoy the moment and make it a mindful experience. I learned to relax. Problems will never disappear, once you solve one, there will be another. 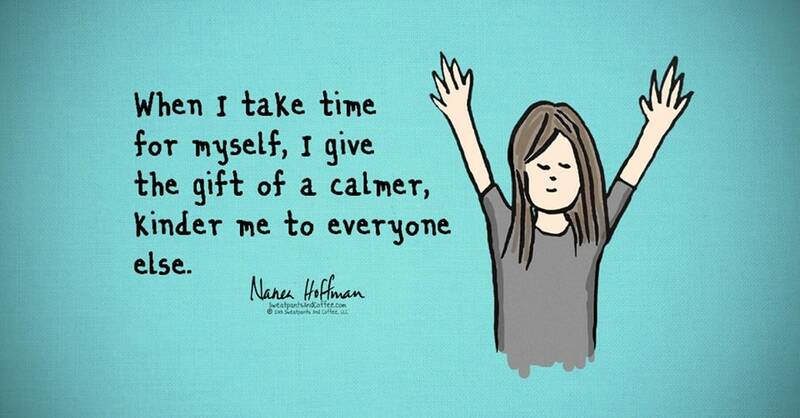 When was the last time you put everything aside and just had some “me” time? We, mothers, give a lot! We sacrifice our time, interests and dreams (sometimes even sanity to some point) for the sake of our little ones and our families. We give and give…and give! And never wait to get it back. What happens is we burn out emotionally, get deprived of our resources and feel empty inside. 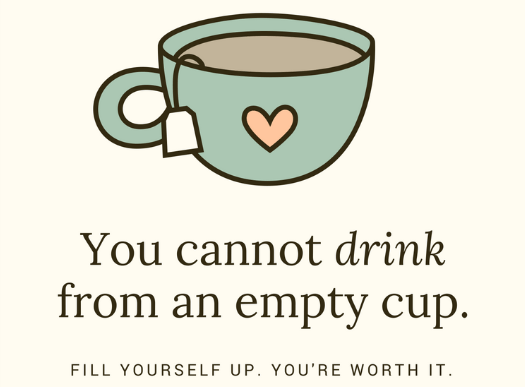 If we don’t fill ourselves up, we have nothing to give. When we have nothing to give but still have to give, we get irritated and stressed out too easily. This will definitely not help you dealing with anxiety. Right on the contrary, it will trigger one. 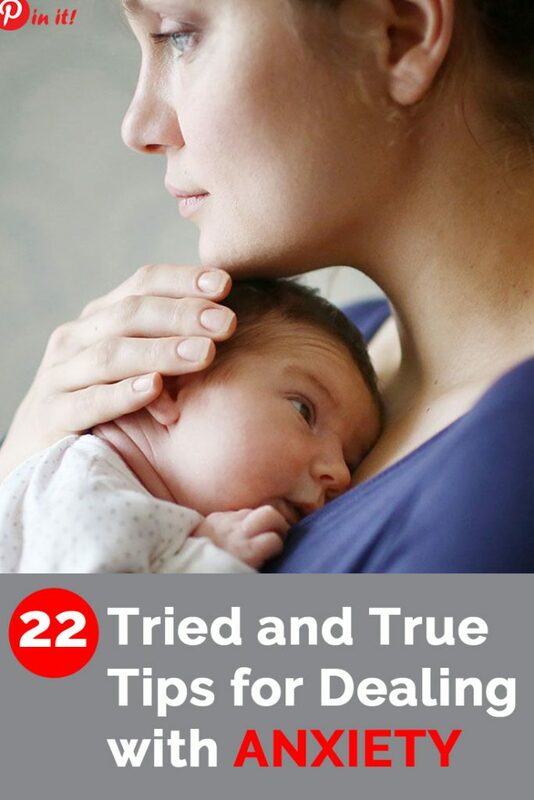 As a mother who’s been there many many times I’m begging you, GIVE YOURSELF A BREAK! Don’t get to the point where you feel nothing but emotional emptiness. No one in your family would ever benefit from this. Neither would you. YOU NEED TO HAVE SOME DOWNTIME. Think of the things that make you happy. Things that you have always put off because you thought somebody needed you more than you needed yourself. Make a list of these things and just do them. 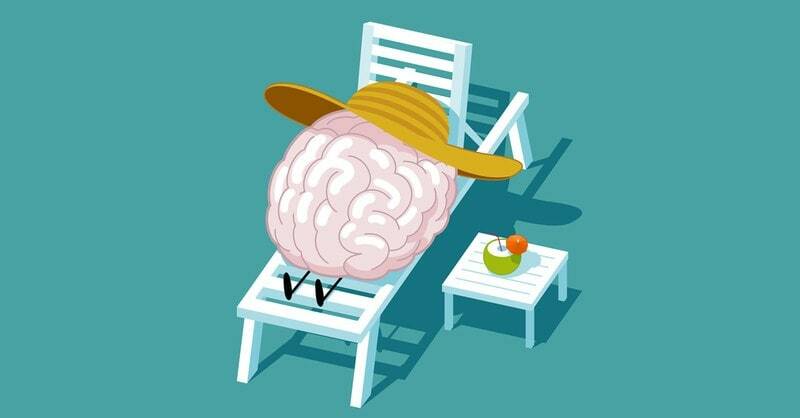 Relax and have a break. Learn to feel no guilt and shame about it. Too many things depend on a woman: the family, the house, the relationships, the atmosphere in the house, etc. When the woman is happy, everybody around her is happy, too. In this article I talk about everything a woman needs to recharge and feel happy. 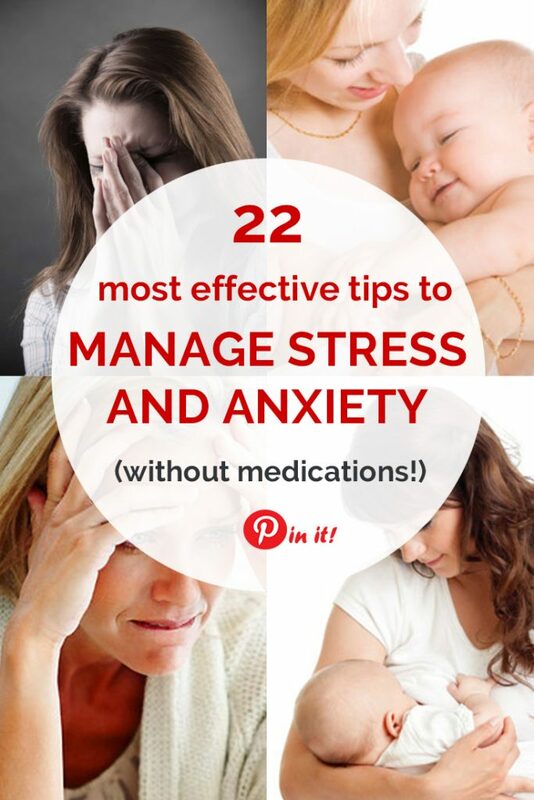 These tips will also help to manage stress and anxiety. When was the last time you were trilling with laughter? Can’t remember? Me neither! Which is bad because laughter is this one powerful thing that helps you successfully dealing with anxiety. Although there are no quick fixes for anything in life, remarkably, a good laugh can instantly begin to reduce these nasty stress hormones that are intertwined with anxiety. Laughter gets to work immediately, and a regular “diet” of laughter continues to decrease anxiety over time. Nowadays it’s hard to imagine that you can go out from home without taking your cellphone. Checking our phones is addictive. We get hooked on using social networks, reading news or checking emails. We let it affect our sleep cycle. Sleep deprivation is the common cause for anxiety. We rely on it too much. Using a navigator, ordering food, booking a hotel, shop online it’s all a great achievement of the technological progress. But how do you feel if you’re battery’s dying and you don’t have a charger with you? Right, anxious. Research has shown that for many young people separation from their mobile even for a short period of time is similar to post traumatic disorder. We use devices to escape reality that can be a cause of mental health difficulties, including depression and anxiety. We never turn them off. It means that the sound of buzz and the screen light with popped up notifications may disturb us during the day AND night, which leads us to #1 in the list. Jean Twenge, psychology professor at San Diego State University and a graduate of the University of Chicago in the US recently released a study that shows a link between the rise of the smartphone and growing rates of depression, suicide attempts, and suicide itself among teens. How to cut down on using devices? Have a screen-detox time. Stop using all devices for a couple of hours every day and learn to enjoy the moment. It’s the same as with cutting down on using devices, only better. The total effect it makes to reducing your stress and anxiety is incredible. Oftentimes our brain is overloaded with unnecessary informations it gathers through different sources during the day. Helping it clear once in a while is a great practice to prevent anxiety. Ditch the phone. The devices. The Internet. For a week. That’s it! By “everything” I mean – your feeling and emotions, how you feel physically, your thoughts – everything. As for me, I have a really bad memory. I sometimes can’t remember what I ate for lunch the previous day. So if I wanted to recall something from the previous week, that just wouldn’t happen without me taking notes into my journal. Make it special. Order a nice notebook and a beautiful pen. Make it a pleasant everyday experience. You may think now, how does it help with your anxiety? Here’s how. 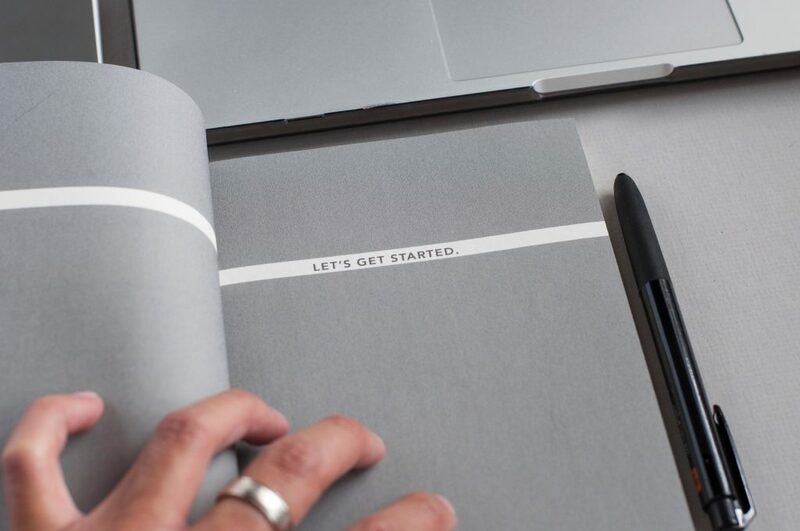 Making notes into journal on a daily basis calms down your mind, helps lower stress and makes you feel empowered by taking things under control. Excluding coffee and alcohol from your diet is a no brainer when we talk about dealing with anxiety. But what’s wrong with sugar? Sugar causes one of the most serious addictions, even worse than the one for cocaine. But only in case of sugar, we can buy it everywhere and eat as much as we want, which makes things even worse. As you might know, any addiction inevitably leads to stress and anxiety down the road. 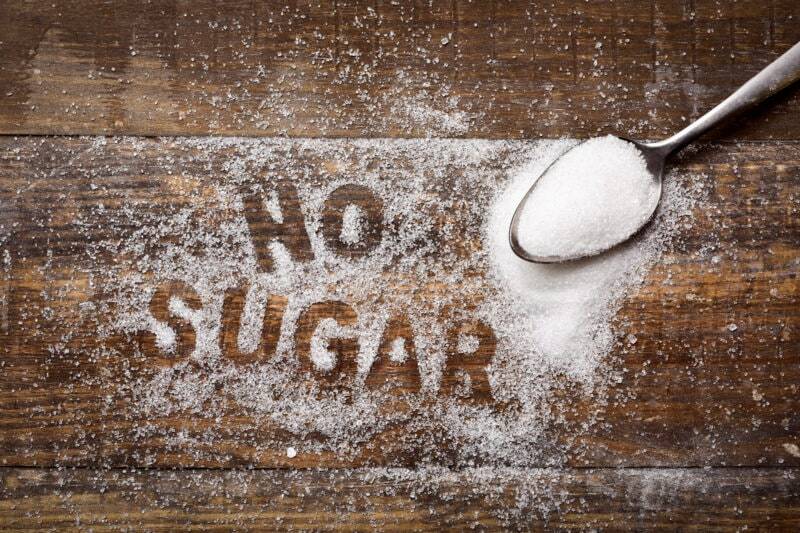 The harmful effects sugar has on your physical health are well known and studied through, that’s why we always talk about reducing sugar to lower the risk of disease and lose weight. But the reality is, knowing all the bad stuff that comes with this sweet delight, people still tend to overeat it. A LOT! Sugar leads to mood swings. Consuming a large amount of processed sugar can trigger feelings of worry, irritability, and sadness — which can be doubled if you also deal with depression or anxiety. It makes anxiety worse. While sugar itself doesn’t cause anxiety, if you are already prone to one, eating sugar will make it even worse. Sugar can also weaken your body’s ability to respond to stress, which can trigger your anxiety and prevent you from dealing with the cause of the stress. Sugar can lead to depression. Sometimes we use food as a self-medication. People eat sugar to numb emotions they don’t want to feel. By doing so, they lock themselves into a vicious circle that will eventually make the symptoms of sadness and unsatisfaction even worse. Sugar slows down your brain. When you eat sugar you feel exhausted almost all day. You may also experience brain fog. This physical discomfort may easily interfere with your daily agenda that can make you feel worried and irritable. Exercise is considered vital for maintaining mental health and reduce stress. Don’t concentrate on working out 5 times a week, aim to be active throughout the day instead. Water is essential to our body. When we don’t drink enough water during the day, we tend to overeat, we may experience fatigue, lightheadedness, brain fog and dehydration. Whereas dehydration on its own is a huge contributor to anxiety. What can you do, if you forget to drink enough water? I know it for a fact because I have a thyroid disease that is called “Autoimmune thyroiditis” (AIT). Basically, it means that the immune system detects my thyroid as a foreign invader and wants to kill it. Yeah, not cool at all. The worst thing with most of thyroid diseases is that you can live your daily life without even knowing you have one. I, thankfully, caught mine in the bud, but even then I already had hormonal imbalance and was experiencing symptoms of stress and anxiety on a daily basis, while I actually had nothing to worry about because my life was trouble-free that time. I am now on medication that helps sustain my TTH level within normal limits. And I certainly feel better. At least I don’t experience the unexplained flashes of anger, sadness, irritability and anxiety coming from nowhere. The recent research has studied gut microbiota and its effect on mental health. The outcome of this research might surprise you. In short, dysbiosis and inflammation of the gut have been linked to causing several mental illnesses including anxiety and depression. It means that using probiotics to treat microflora in your gut may have a positive effect in terms of dealing with anxiety. Basically, if we want to be healthy and happy, our gut bacteria needs to be healthy and happy too! And who has a healthy gut nowadays? Raise your hand. I don’t. Schedule an appointment with a gastroenterologist. He will run a gut flora microbiome test and prescribe the right kind of probiotics you need to treat your gut. Many people don’t realize that symptoms of anxiety may be caused by their musculoskeletal system coming from tight muscles, headaches, difficulty breathing and poor posture. Human body and mind is a very smart system that constantly influence one another. 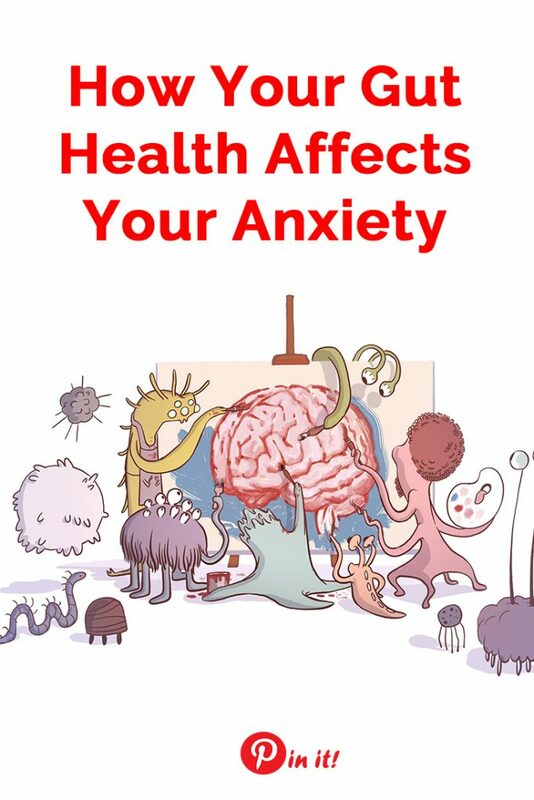 Basically, if your body is unhealthy you are more prone to experience symptoms of anxiety. If your muscles are tight or sore you get tired and irritated quickly. If you have gut problems, you feel depressed. If there is a discomfort in your body, it makes the process of dealing with anxiety way harder and the discomfort can actually cause anxiety to some extent. If you think that psychotherapy is for looney tunes and it only helps people with severe anxiety disorders, you are so wrong! Certain types of therapy, such as cognitive behavioral therapy (CBT) and exposure therapy, are particularly beneficial for people who constantly experience stress, depression and anxiety. The psychotherapist can show you the right way of dealing with anxiety, specifically, how you can stop worrisome thoughts and manage stress. For many people, therapy is a good place to start. Oftentimes the culprit that makes us feel depressed or anxious sits deep inside our subconscious mind, rooting back to our childhood’s traumatic experiences. These things are almost impossible to be address by ourselves. To find them in our mind, acknowledge them and let go, it usually requires help from a professional therapist. 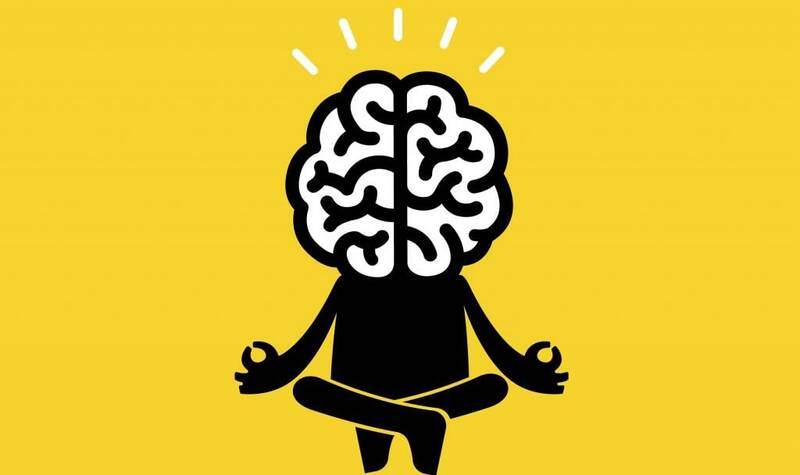 The last but not the least, meditation is what really makes a difference when it comes to dealing with anxiety, stress, depression and just about every bad thing or emotion that happens in your life. It’s a totally awesome stuff that intrinsically makes a difference! I say it because I know it. I turned to meditation when I was an anxious wreck. I was falling to pieces. My body and mind and all the systems were disconnected. I didn’t even acknowledge I was suffering with anxiety that time. I just felt that something was seriously wrong with myself. So when I shared this unfortunate fact with my friend, she showed me the way to meditate it off. And it worked! It seriously changed the game. Anxiety doesn’t just make you feel bad, it actually changes the structure and function of your brain . If you mediate, you can not only take your anxiety under control, but reverse the damage made to your brain and become less anxiety-prone! Isn’t that great? Let’s learn how to meditate for anxiety. How meditation can help you dealing with anxiety? This article has important information covered for meditation and anxiety. It offers many great resources where you can learn how to meditate. I’ve also found this video on meditation very helpful. You can try it even if you have never meditated before. Adriene will guide you through this experience and you’ll be glad you did it. 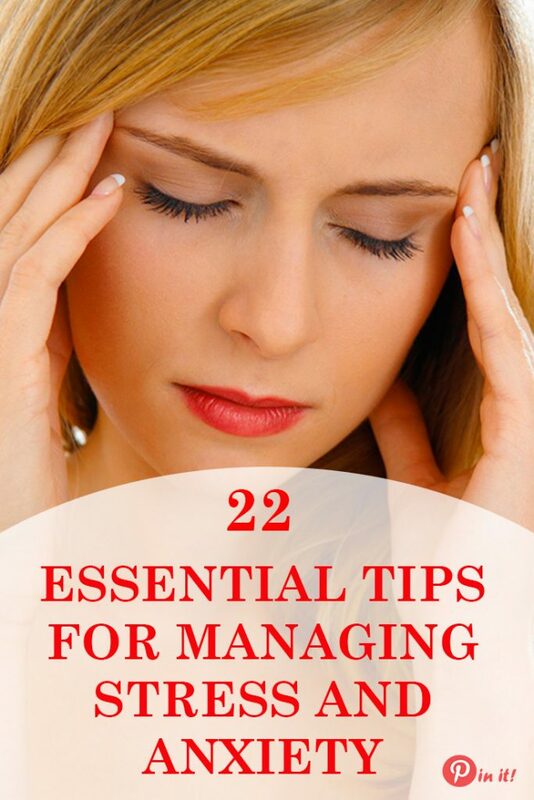 I hope these 22 tips for dealing with anxiety help you cope with yours. Everything I talk about here is tried and true. I tested every single tip myself and I can boldly state – THEY DO WORK! As for me, I swear by them! I feel much less stressed and anxious now and it’s night and day from what I felt myself somewhat a year ago. I was a total anxious wreck paralyzed by constant stress, fears and anxiety attacks. My way to healing stared when I sat down one day and acknowledged my struggles and problems AND fears (see #3 in the list above). It was my pivot point to start investigating how I could help myself overcome anxiety, lessen stress and fight fears. I started digging in deeply for information (I’m sharing all resources below, check them out!). And that is how this article came to life. I really really hope it was useful for you. I’d love to hear some feedback from you. If you try some of these tips or all of them, let me know what worked for you and what didn’t. Also, if you have some more advice, don’t hesitate to shoot a comment below and share things that helped you cope with stress and anxiety.